In other words, dogs and cats living together… in one book! 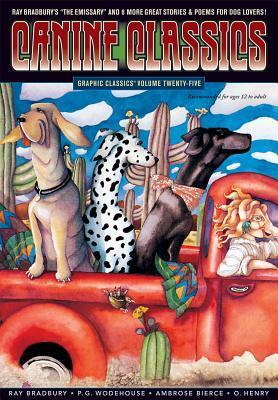 Let us explain… Graphic Classics (from Eureka Productions) is a series of graphic novels based on, yes, classic literature. Now for Volume 25 of this full-color series they present a special double issue with two books back-to-back: Canine Classics — Stories for Dog Lovers, and Feline Classics — Stories for Cat Lovers. 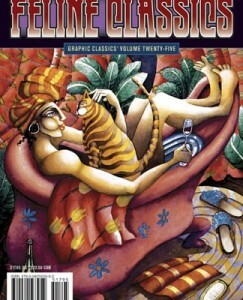 ” Featured are “The Emissary” by Ray Bradbury, “Ancient Sorceries” by Algernon Blackwood, “The Beast from the Abyss” by Robert E. Howard, and 17 more great stories and poems, including two from the volume’s co-editor, John Lehman.” Check it out over at the Eureka web site for a full list of stories.